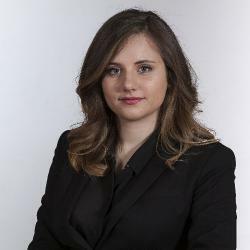 Lavinia is a Master in Management student from Italy, who did an Erasmus semester in Madrid, Spain. Lavinia then moved to Frankfurt to pursue her master's. I always thought about my academic future abroad in a top business school and that is why I decided to apply for the Master in Management at Frankfurt school. At 19 years old I moved from my little home town in the south of Italy to Milan. After three years spent there for my bachelor’s, I felt the need to change reality. After my Erasmus semester in Madrid I didn’t know what to expect from life in Frankfurt but now I can firmly say that I made the right choice. I was afraid of making the wrong decision since I knew what I had left behind but didn’t know what the future would bring me going forward. But from the beginning, I felt enriched by the vibrant atmosphere that characterizes Frankfurt School since everyone is from a different country and has their own story to tell. In Italy it is not common to have initiatives such as the outdoor campus. Having the possibility to get to know each other before starting class was amazing because we were able to show everyone our real personalities, which isn’t so easy to do in a formal context like a university lecture. Settling down in another country is not easy but if you never change context you would be never become familiar with another culture and how other people live. If you only ever live with people who are the same as you, you will never know how the world is different and how you can be enriched from these differences. For me, this is the most enriching aspect of the entire experience. Frankfurt School offers the 3-Day Model, allowing you to work part-time and study full-time. Working and studying at the same time improves your time management skills because it pushes you to organize your time in the most efficient way possible. Learning German is quite challenging but with the language course offered by Frankfurt School and the patience of some of my German classmates who correct me while I speak with them, there is always the possibility to improve. Being in another country and working and studying in another language is a great plus to your CV! I personally believe that life is too short to always stay in the same place because there are a lot of new people to meet, so many things to do and so many places to visit. When I was in high school I learned about die Wanderlust, a real interesting topic during German literature classes. Wanderlust means having an irresistible desire to discover and travel. It describes a philosophical approach to life. 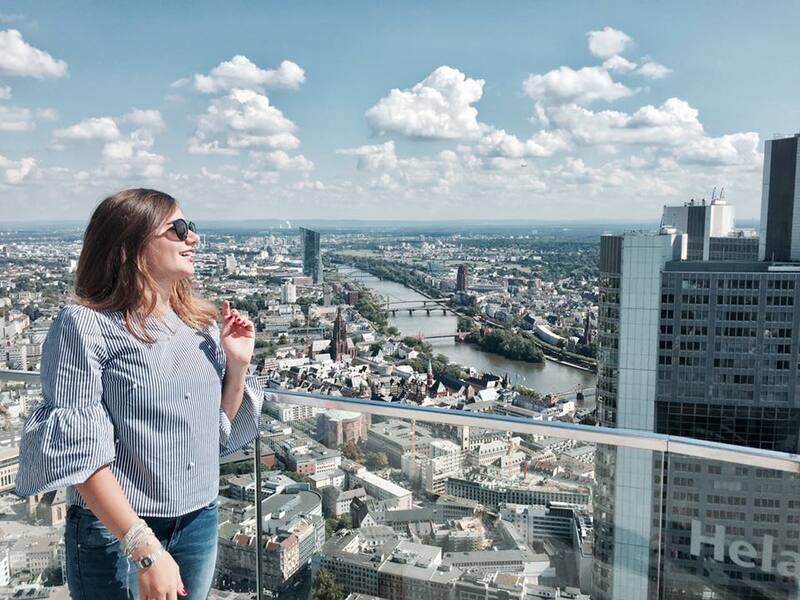 After being in Frankfurt for one year, I have learnt how to exceed my limits and manage all the challenges that a new working environment and university offer me. I have discovered so many fascinating things about Germany and its cultures, and I feel enriched by lots of memories that will stay in my heart. Words can’t describe the travels that I made around Germany and the beauty of sharing moments together, from the anxious moments before an exam to the sense of joy and freedom that is felt after having done it. Studying abroad is a great opportunity and Frankfurt school has been the right place for me to have an adventurous international experience, work experience and high quality of teaching. It is said that the person who departs is not the same as person who returns. Now every time that I go back to Italy from Frankfurt School, I can say that I am different somehow because I can easily confirm that every day I learned something new. If you have Wanderlust, step out from your comfort zone and just go abroad! There´s a lot to be discovered.